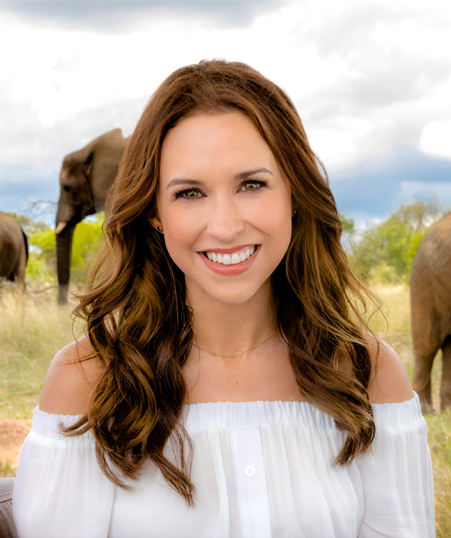 Its a Wonderful Movie - Your Guide to Family and Christmas Movies on TV: INTERVIEW: Actress LACEY CHABERT -- on Hallmark's Love on Safari, All of My Heart, and Christmas! INTERVIEW: Actress LACEY CHABERT -- on Hallmark's Love on Safari, All of My Heart, and Christmas! Today I am most excited to share with all of you - my latest interview! She's lovely and vivacious and she has a laughter that is most infectious... it's actress Lacey Chabert! *See the Weekend Highlights post - for what's new this Saturday and Sunday night. Includes Christmas Preview Show hosted by Lacey Chabert! 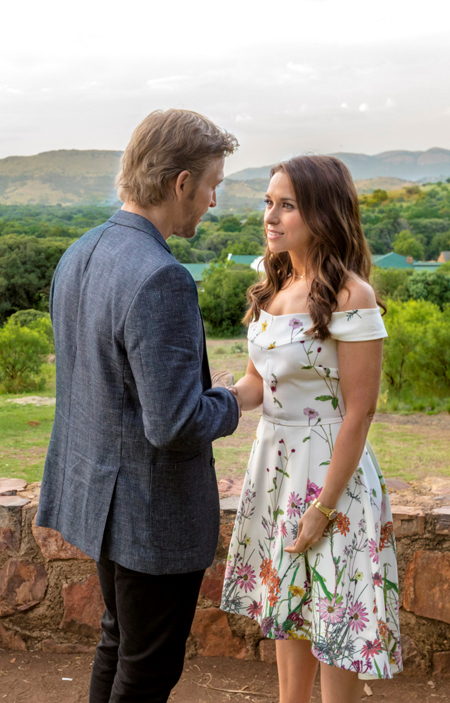 Lacey Chabert in "Love on Safari"
We've watched Lacey's career develop and blossom- from the television drama series, "Party of Five," to teen films, and now Hallmark movies! She is consistently a true joy to watch! Whatever role Lacey is given... whether it is Melanie, the baker in "Matchmaker Santa," Emily Taylor, the hopeful fashion designer - who, by the way, is dating a prince in "A Royal Christmas," or Jenny Fintley, the half owner of a B&B with her fiancé Brian in "All of My Heart," or even now Kira Slater, adventure seeker in "Love on Safari"... we can easily see Lacey gives her whole heart to these characters and their stories! What a delight she is on our TV screens! It was my pleasure to chat with Lacey on her latest Hallmark film, "Love on Safari." Plus, we talk about her upcoming projects, "All of My Heart 3" and "The Crossword Mystery" with her good friend, Brennan Elliott... AND, there's even mention of her upcoming Christmas movie where she plays Darcy Fitzwilliam in "Pride, Prejudice and Mistletoe!" Net, It’s a Wonderful Movie- Hello Lacey! Welcome to “It’s a Wonderful Movie” where we chat about family-friendly TV movies! Lacey Chabert- Hi! Thanks for having me. Net, It’s a Wonderful Movie- As a young girl, how did you first become involved in acting? Lacey Chabert- I’m from Purvis, Mississippi. At the age of 7 my family temporarily moved to NYC and it was there that I began acting professionally. I began by doing commercials and was eventually cast as Young Cosette/Eponine in Les Miserables on Broadway. To have been a part of a show as incredible as Les Miserable is an experience I’ll always treasure. There is nothing like live theater-so exhilarating! From there I was blessed to continue working on various projects and was fortunate to have been cast in Party of Five. My family relocated to Los Angeles while we filmed the show. I have a very supportive family to say the least! All these years later, I can honestly say I love my job more than ever. I’m thankful that I continue to learn and expand my creative muscles. I feel like a student every time I’m on set. I most enjoy the collaborative aspect of my job. I’m excited to see what the future holds. 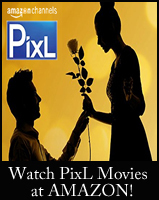 Net, It’s a Wonderful Movie- We have been following and admiring your Hallmark movies here at “It’s a Wonderful Movie” over the years… from Christmas, Countdown to Valentine’s Day, Spring Fling/Fever, and Fall Harvest! 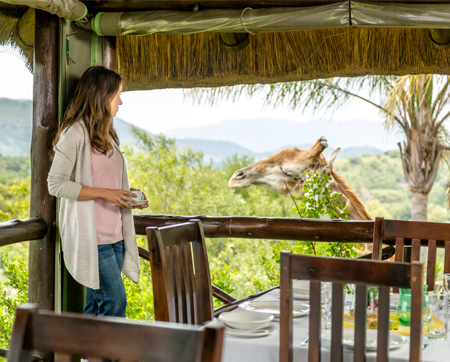 How fun it is now to see you will be starring in your first Hallmark “Summer Nights” movie, “Love on Safari.” Please share the incredible location where this movie was filmed and a little of the storyline with us! Lacey Chabert- Thank you so much for all of your support! I often see your posts on twitter and the support is greatly appreciated. Filming Love on Safari in South Africa was such an incredible opportunity. I’m so grateful to have had the chance to experience the beauty of that country. The people there are genuinely kind be full of love. I made friends I know I will have for a lifetime. The land is stunning and the wildlife was awe-inspiring. We stayed at the reserve where we filmed the bulk of the movie and it was just incredible to see giraffe and zebra roaming around! It was surreal. The monkeys would wake me up almost every morning running around on the roof of my room! Net, It’s a Wonderful Movie- Viewers are always sharing with me- how much they enjoy watching your movies, Lacey, because you have such an endearing, bubbly personality – that truly shines through all your roles, and I wholeheartedly agree! You light up the screen with your beaming, sweet smile and precious giggle! Lacey Chabert- Thank you so much! Wow, that’s so kind. It means the world to me that the viewers enjoy and appreciate the work we do. These movies aren’t just another job to me. We make these movies but with the hopes that the audience is not only entertained, but will hopefully laugh and be moved by the journey of the story . I always try to make the characters as relatable as possible. I want to say thank you so much to the fans because they truly are the reason we continue to have the opportunity to bring these stories to life! Lacey Chabert in "All of My Heart: Inn Love"
Net, It’s a Wonderful Movie- Please tell us about your new character, Kira Slater, in “Love on Safari”. Is she anything like you? Does she adapt well to safari life? Lacey Chabert- I definitely related to Kira. In the beginning she’s very nervous about stepping so far outside of her comfort zone by even entertaining the idea of owning this wildlife reserve in South Africa. For me personally, taking on producing and acting in a project I was so passionate about was thrilling, but it challenged me because it was also the first time I’d traveled so far across the world and without my young daughter. My husband and I decided it was in her best interest to stay home with him and the rest of our families. In the same way my character is nervous about entering this new world, so was I. I was incredibly excited but it also pushed me outside of my own personal comfort zone. The experience reminded me though of the joy found in accomplishing something that requires you to face your fears and push yourself when you know deep down it’s the right thing to do. As Kira spends more time on the reserve she begins to realize that some of life’s best moments are when things look different than you might have planned. She remembers the adventurous spirit she possessed as a child and how she’s still that same person. One of my favorite lines is, “This place didn’t change me, it reminded me of who I really am.” It’s a simple concept but a powerful one. I think it’s easy in life to get distracted and sometimes lose track of who we really are deep down. I love that she discovers this. This growth causes her to re-evaluate many things, including her relationships. 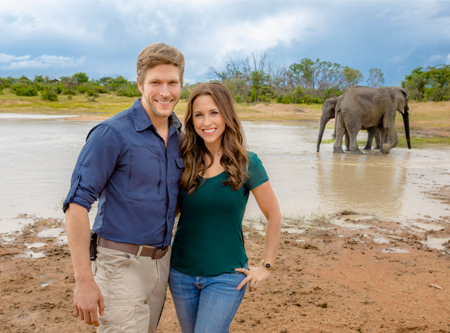 Jon Cor, Lacey Chabert and Brittany Bristow in "Love on Safari"
Net, It’s a Wonderful Movie- What was it like filming, on location, with your co-stars Jon Cor and Brittany Bristow? Lacey Chabert- One of my favorite parts of my job is meeting new friends. Some of those people are behind the camera and some you see on screen. Jon and Brittany and I had the best time together! I felt like we were at camp together. Brittany and I became particularly close because I was seriously missing my daughter and she offered such wonderful support. She’s fantastic and we’ve kept in close touch since. Leif Bristow directed the film and his wife Agnes produced. They are a very special family who I’m fortunate to now call dear friends. Net, It’s a Wonderful Movie- Of all the animals you worked with while filming "Love on Safari," which one was your favorite? Did you wish you could take one of them home with you? Lacey Chabert- The baby elephants were my favorite for sure! All of the animals are so beautiful and interesting in their own ways, but the baby elephants has a special place in my heart. 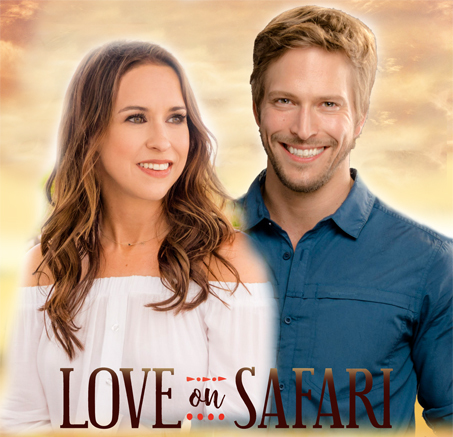 Jon Cor and Lacey Chabert in "Love on Safari"
Net, It’s a Wonderful Movie- As I mentioned above, this is your first “Summer Nights” themed Hallmark movie. Lacey Chabert- It’s hard to pick a favorite because I’ve enjoyed them all for different reasons. A Royal Christmas stands out as a favorite because it was such an adventure filming at different palaces and locations in Romania. I also particularly love Family for Christmas because I love the “what if” concept of that script. A Wish for Christmas is one I’ll always remember fondly because I was pregnant with Julia! Trying to hide my belly was a hilarious challenge! At one point they just started placing Christmas trees in front of me haha! 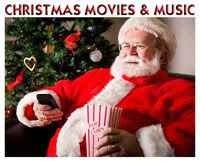 Net, It’s a Wonderful Movie- Do you enjoy filming Christmas movies - even in the hot summer? Lacey Chabert- Yes, we typically film them in the heat of summer which is always a challenge because you’re trying to get the shot before the snow melts and the makeup department is working over time because you’re melting ha! I’m such a huge fan of Christmas though that it makes me so happy to see sets covered in Christmas decorations. I’d like it to be Christmas all year long in real life! Lacey Chabert- It was really fun! Happy the dog joined me and I enjoyed his company. He’s so sweet and adorable. Do you enjoy dressing up for each new movie role? How much are you involved in your character’s style? Lacey Chabert- Thanks! I was so happy to put on my wedding dress again for A Royal Christmas. It’s always nice to collaborate with the talented costume designers for each film. I love to bring certain pieces of my own clothing if it works for the character to help personalize her look. We try to give each character details that are specific to her personality. It’s a really fun part of the job! Net, It’s a Wonderful Movie- It has been such a joy to watch you grow up on screen, Lacey... first as a little girl in the heartwarming family Christmas movie A Little Piece of Heaven with actor Kirk Cameron (Growing Pains, Fireproof), and then on Party of Five, where you were such a standout in that series as young Claudia Salinger, the sweet little sister and a spitfire, too! She was always passionately devoted to her siblings, powerful, dramatic, and tenderhearted. 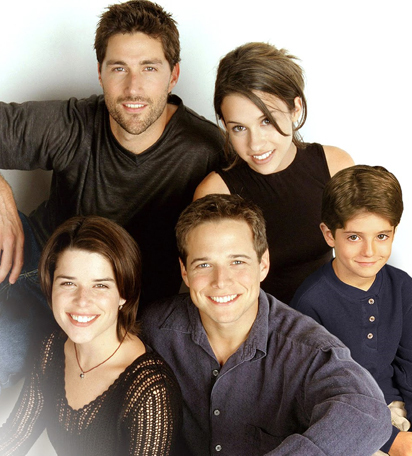 You certainly held your own with your older co-stars: Matthew Fox, Scott Wolf, Neve Campbell, and Jennifer Love Hewitt. What was that experience like for you? Lacey Chabert- Thank you so much. Party of Five was a special one to say the least. Being on a show, especially such a well-written one, for six years is a unique experience. Growing up on screen had a plethora of awkward moments of course, but it was also a tremendous amount of fun. I love that cast and crew so much! We are forever connected. I have nothing but fond memories about those six years together. Net, It’s a Wonderful Movie- Do you have any future projects you can share with us? Many Hallmark Channel movie fans are quite excited about “All of My Heart” #3 and your new Hallmark Movies & Mysteries movie project “The Crossword Mystery” with Brennan Elliott! What can you tell us about working with Brennan (he looks like so much fun!) 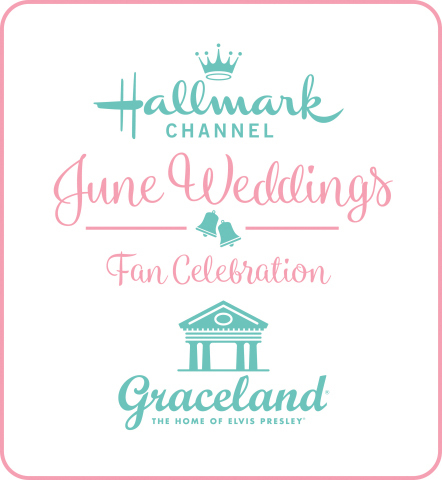 and these upcoming Hallmark movies? And, it’s exciting to hear you will be filming a new Hallmark Christmas movie too! 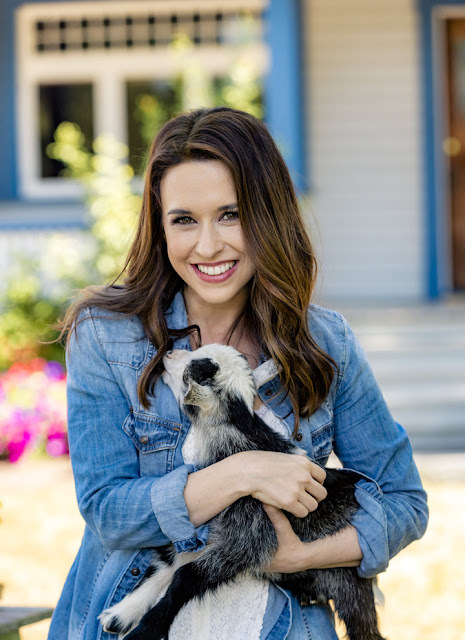 Lacey Chabert- We are about to begin filming All of My Heart 3 and I couldn’t be more excited. The script made me tear up the first time I read it-in the best way. I’m excited to continue that story with my friend Brennan. I also enjoy working with him. He’s an incredibly talented actor and a fun scene partner who’s become a good friend. We are also thrilled to soon begin filming our mystery series together! Yes, I will be doing a Christmas movie for Countdown to Christmas called Pride, Prejudice and Mistletoe! I can’t wait to share it all with the viewers. Net, It’s a Wonderful Movie- What does it mean to you, especially now as a Mother, to create these special movies that families can sit down and watch together? Lacey Chabert- More than ever I appreciate the positive message of the movies. 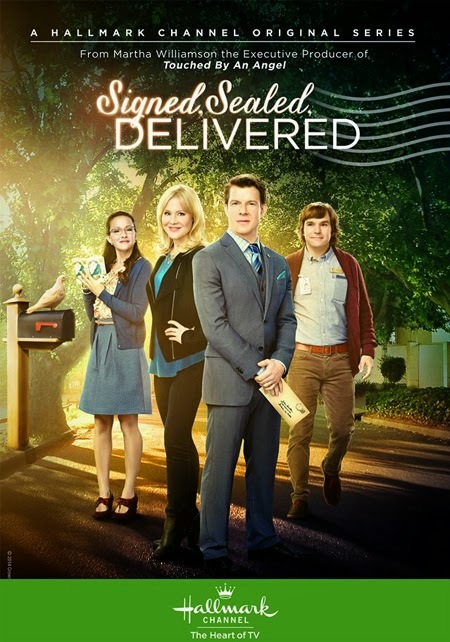 I love a happy ending as much as anyone else and appreciate that Hallmark tells stories my whole family can enjoy. I hope Julia will one day enjoy watching them! Hopefully I’ve been a part of creating projects that make her proud. 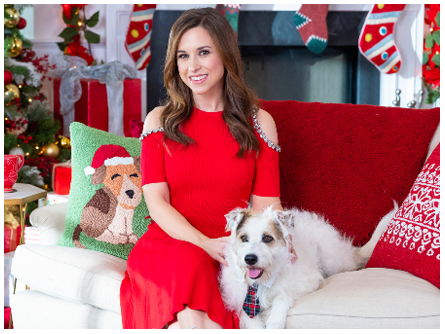 Lacey Chabert in "A Family for Christmas"
Net, It’s a Wonderful Movie- What do you hope viewers will take away from watching your Hallmark movie “Love on Safari”? 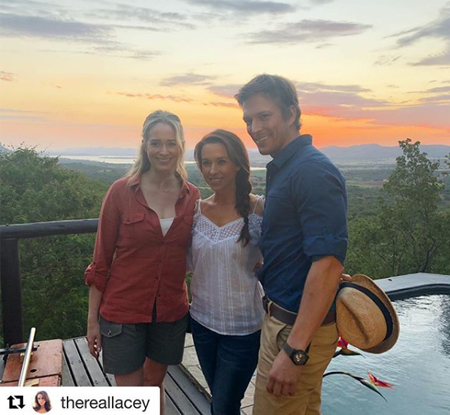 Lacey Chabert- Regarding Love on Safari, I wish for viewers to enjoy the beauty of South Africa in this movie. I hope that we’ve photographed and told the story in such a way as to make you feel you were there with us! I’m so proud of the movie. Thank you so much, Lacey, for this lovely interview! I hope all of my followers here enjoyed reading our chat together, and will look forward to your new Hallmark movie! Net, that is awesome! I've tried for years to get Lacey for an interview, but you nailed it! Well done! Awesome questions, and who couldn't love her responses?! Thank you for your dedication! Oh, thank you, Ruth! It was such a joy to have this opportunity to interview Lacey! She is, indeed, so sweet... I just loved all her responses too... so warm and friendly! I appreciate your thoughtful comment and your incredible support, it means so much to me! Excellent interview here with Lacey, Nett! Wow, you must have really great connections! Love on Safari looks awesome and all, but I'm glad you also asked about All of my heart and Christmas! Can't wait to see all of these with Lacey! Awe, thank you, J! I'm such a fan of Christmas Movies and "All of My Heart," as well... I just couldn't pass up the opportunity to ask a little about them, too! So glad you enjoyed reading the interview! Lacey is my favorite! Great interview here! Super excited for AOMH3 and everything she does, even the preview show! Wow! This interview is THE BEST! You packed it with a little bit of everything! I grew up watching Party of5 and then don't get me started on Mean Girls. I mean, it's still hard to believe that's our sweet Lacey! Em, how sweet! Thank you so much for your kind and bubbly response! Your enthusiasm always warms my heart! And, like you, I'm so looking forward to Lacey's next new projects! Thank you, Joyce! So glad you enjoyed it! I was so happy to be able to do this interview with Lacey before she got busy filming all of these other movies for Hallmark! I so appreciate your sweet message! Great interview Net!!!!! Your questions were great...a little bit of everything. I am very excited about the new AOMH 3 coming soon and anything Christmas too! I am not much for safari and tropical movies...so we'll see! Thank You Net for sharing! Super cool interview get, Net! Lacey is totally Hallmarks "it" girl right now and you interviewed her! Thank you! Yeah, Lacey is pretty popular these days on Hallmark. They must know how much she is well-loved by all the viewers! Am I right, does she really have 4 projects coming up, on either Hallmark ch or HMM? Plus, two preview shows? Whoa! That's a lot! You are absolutely right! Lacey has lots of new upcoming Hallmark projects... in fact, I wonder if any other actor has ever had so many straight in a row? Let's not forget that Lacey was one of the stars in this year's Countdown to Valentine's Day event, with her "My Secret Valentine" premiere! So, setting aside the preview specials and the Crossword Mystery movie (because we don't know when Crossword Mystery will be filmed or when it will premiere), by the end of this year, Lacey will have appeared in FOUR of the major themed movie events on the Hallmark Channel -- CTVD, Summer Nights, Fall Harvest and the Countdown to Christmas! That is astounding! I don't think there has ever been a major/lead Hallmark star who has had 4 brand new movies premiering in 4 different themed events *in the same year*. There are some supporting actors who have probably accomplished that, but I don't think even Andrew Walker has accomplished that feat, and he is pretty busy with Hallmark! 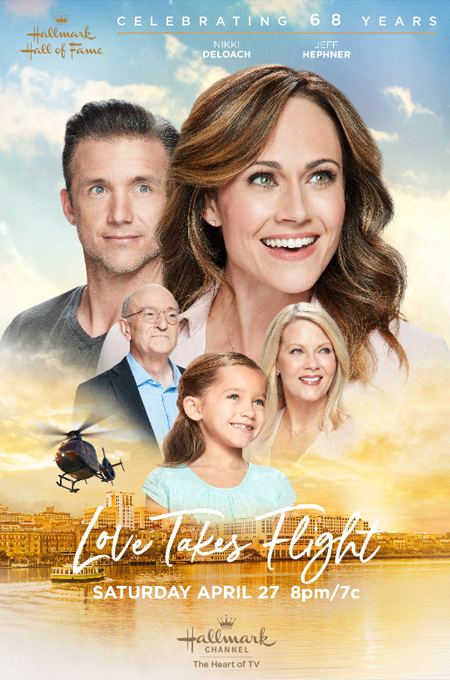 Yes, Lacey's list of Hallmark movie accomplishments are stellar this year - and we've yet to see most of them! I know actors often film movies back-to-back in Vancouver, but since "Love on Safari" was filmed in Africa, I consider that to be an even bigger feat! As for Andrew Walker... he too, will most likely have 4 different themed movie events this year!... with Countdown to Valentine's Day, June Weddings, Fall Harvest, and hopefully, Countdown to Christmas! Ahhh, but Andrew's September movie is not technically supposed to be part of Fall Harvest. (Danica said that the tentative date is 9/15/18, which means it would air before Fall Harvest begins.) It looks like it is going to be a random September movie, not attached to any theme -- kind of like "Royal Hearts" was in February and "Love, Once and Always" was back in March. Those movies *seemed* as though they were part of the Countdown to Valentine's Day and Spring Fever, respectively, but they were not technically part of those events at all. They were stragglers!! So, again, Lacey has 4 movies that are definitely, without question, part of 4 different themed events this year. There is no gray area with a movie airing just outside of one of the events. They are all firmly IN the events. I don't think Andrew will reach that same accomplishment THIS time (4 themed events in one single year) because his September movie will probably end up as not technically part of Fall Harvest if it keeps the premiere date that Danica mentioned. He was also not in the Countdown to Christmas last year, and we don't yet know about this year. In order for the first Crossword Mystery movie to air this year, it would have to land on HMM by the 3rd Sunday in October, if not earlier. That means it would have to be filmed and wrapped up by no later than probably mid-to-late September (right around the start of Fall), at the latest. Lacey still has a Christmas movie to film as well, and they just started filming AOMH3 several days ago. Three back-to-back-to-back movie shoots is a lot of work, but that's how it will have to break down if Crossword actually makes it to HMM his year (instead of, for example, premiering in January)!!! Lacey will be very busy (and probably very tired) at the end of this year!!! Yes, it should be interesting to see where "Love in Design" with Andrew Walker & Danica McKellar will end up... before or during Fall Harvest. As we know, dates can often change... so, we wait an see! 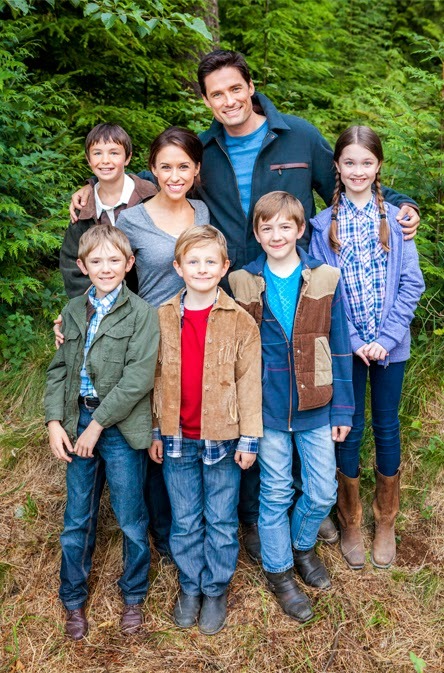 Interestingly enough, Danica had an in-between movie last year with Paul Greene, in "Campfire Kiss." I recall "Tulips in Spring" premiered technically after the block of Spring movies, but is now definitively considered to be a "Spring" themed movie. Really enjoyed reading your interview with Lacey, Net! You two together are super sweet! I wasn't sure about this movie, but after reading more about Lacey talking about Love on Safari I'm looking forward to it now. Neat interview! Keep up the great work! I've been following Lacey's career since Party of Five, I've never heard of that movie Little Piece of Heaven, is it good? family-friendly? 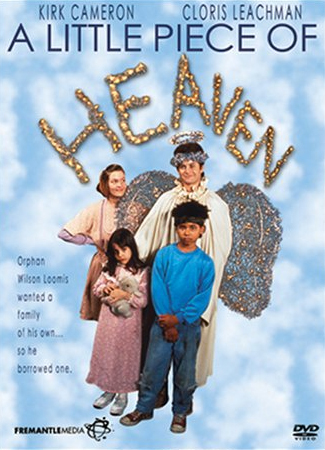 Hello Allie, Yes, "A Little Piece of Heaven" is a wonderful family Christmas movie. It is so heartwarming and precious... I absolutely fell in love with all the children in the movie, including Lacey who plays a little girl in it. I highly recommend it as one to watch with your family! Unfortunately, it's not one that typically gets replayed during the Holiday season on TV, but Amazon has it available on DVD. Love how you appropriately add in just the right pictures with each question. Oh, I'm glad you enjoy all the pictures! I always try to add in images that match up with what is being discussed. Pictures really tell a story all in themselves, don't they? I appreciate you sharing that! What a great interview with Lacey Chabert! So many lovely photos! Thank you, Pilar! I'm so glad you enjoyed my interview with Lacey and all the pictures, too! Net, thanks for such a great interview! I know that Lacey is known for her "holiday" movies, but one of my favorites, and you do have it pictured, is The Color of Rain." Have seen it so many times and she is perfectly cast as the grieving mother/widow. Plus, it's based on a true story which makes it all the more wonderful. Thanks so much and although I hate to see summer end (and it hasn't even begun on Hallmark) it's nice to have Fall Harvest and Countdown to Christmas and Lacey involved in so much! Barbara, I so agree, "The Color of Rain" is such a touching story of healing after such a great loss. Michael Spehn and Gina Kell Spehn's story was told so beautifully by Lacey and Warren Christie ("The Most Wonderful Time of the Year"). I'm glad to hear this movie touches your heart, as well. You can still see the Christmas Preview show - hosted by Lacey Chabert. I posted a recap *here* and a link where you can watch it online! It's only available for a limited time, so be sure to check it out soon! Someone shared your interview on Facebook and I'm so glad they did! It's my first time here! What a nice interview with Lacey! I can only imagine, but I bet she is just as nice in person! Welcome! I'm so glad someone shared my site and you discovered "It's a Wonderful Movie." 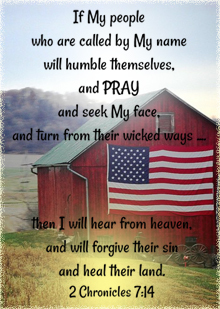 I hope you visit often and share! I was searching the internet for anything I could find on the next All of My Heart movie and found you. I almost burst into tears wgenLacey said the script made her cry- Ina good way. I can't wait to see it now, Brian andJenny are magic together. I think "All of My Heart" has that effect on a lot of people, as it gives us such a warm, happy feeling inside. I'm so glad you found my site and I'm extra happy to hear how much you are looking forward to the next "All of My Heart" movie. Great interview Net!!! I love how you showcased some of Lacey's movies. Can't wait for her new movie this weekend! Thank you so much! The main focus of our interview was "Love on Safari," but I also just had to ask Lacey a little about AOMH and Christmas! 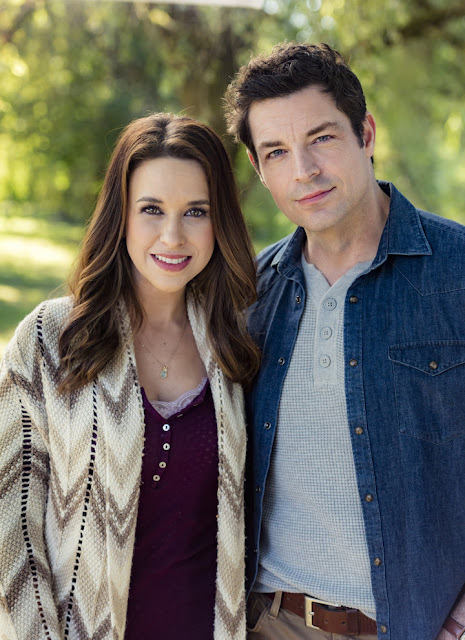 I know so many of us can't wait to see ALL of Lacey's upcoming new Hallmark movies!!! 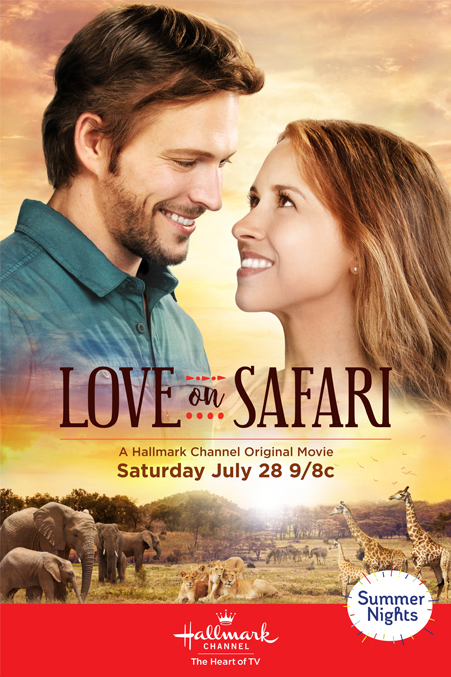 Love on Safari was without a doubt one of my favorite Hallmark movies. The movie indeed made you feel like you were right there on safari. The scenery was absolutely breathtaking. It was so refreshing to see something different. I am truly looking forward to this movie coming out on DVD.